If you are looking for an application that notifies you about new mails and/or feed updates regardless if you are using an email client / news reader or not, CloudSN is your choice. It integrates into the well known mail envelope and notifies you via Notify-OSD about new mails and feed updates. But you can also set it up to integrate into notification area if you like so. 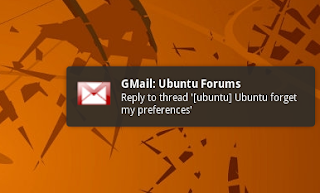 It's available for all current versions of Ubuntu. Once it is installed, you will find "Cloud Services Notifications" under "Applications > Internet" in classic Gnome, or by typing its name into the Unity Dash. Once run, click on its name in the mail envelope menu to open it up. Then click on the wrench in the toolbar or choose "Edit > Preferences". You will be presented with this dialog. Most importantly, make sure "Run application on startup" is ticked. 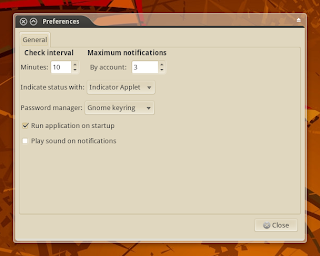 Choose settings for "Check interval" and "Maximum notifications", I recommend setting the first to 10 mins. and the latter to 3, to not get overwhelmed when you login for the time the day, for example. 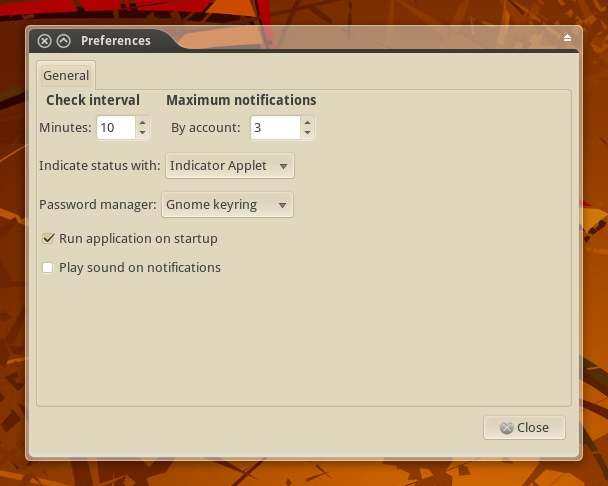 Make sure "Password manager" is set to "Gnome keyring", for obvious security reasons. 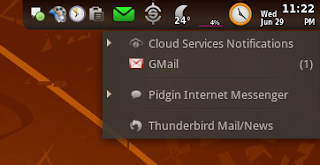 If you want to integrate it into the notification area instead of the mail envelope, set "Indicate status with" to "Status Icon". "Play sound on notification" is the last option here. Then, of course, set up your services. I guess, I don't need to go into detail here, I think, you will get the point. 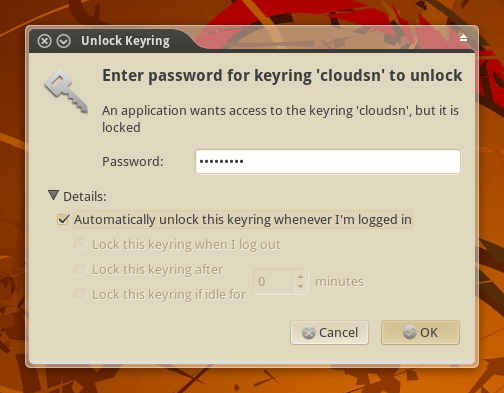 The last thing we need to take care of, is to make sure that the keyring "cloudsn", which stores your passwords, is unlocked on login, so that you don't have to enter your set up password here, right after login. 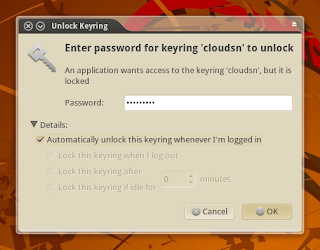 Therefore, simply restart CloudSN and once the password query dialog for unlocking the keyring comes up, enter your set up password, then click on the arrow beneath "Details" right below the password field and tick the box beneath "Automatically unlock this keyring whenever I'm logged in", as shown in the screenshot above. The "login" keyring doesn't get unlocked upon login if you auto-login. In this case you won't have the option to choose as shown above, and you will be asked for the password for the "cloudsn" keyring upon login.